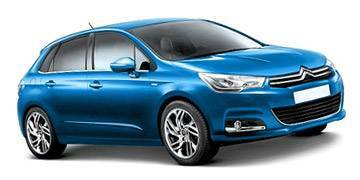 Read our helpful guide to second hand Citroen C4. AA Cars works closely with thousands of UK used car dealers to bring you one of the largest selections of Citroen C4 cars on the market. You can also browse Citroen dealers to find a second hand car close to you today. All used Citroen C4 on the AA Cars website come with free 12 months breakdown cover. First launched in 2004, the Citroen C4 - the bigger brother of the C3 - mixes the classic Citroen stylish looks with good efficiency, a comfortable ride and plenty of space. Named as runner up in the 2005 European Car of the Year awards, it has remained a solid choice in the hatchback market, despite never really giving cause for particularly flared emotions. Instead, it is a car which excels in driver comfort. Refined engines, a spacious and quality interior and a near-market leading 408 litre boot all make the C4 a mature choice, which will likely appeal to the type of driver who favours calm and comfort over quick and conspicuous.